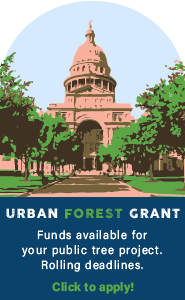 Austin's Urban Forest Plan was adopted by Austin City Council on Thursday March 6th, 2014. Today, urban forests are increasingly considered an element of a much larger green infrastructure network. Within this network, the urban forest is an invaluable resource that plays an integral role in Austin’s health and vitality by providing social, ecological, and economic benefits to the community and by enhancing the quality of life for Austin residents. The impacts from continuing growth and development, combined with long term drought conditions create an imperative to develop a plan to support the long term health and vitality of our public urban forest resource. The Austin Urban Forest Plan: A Master Plan for Public Property establishes a broad scoped, long-range vision for Austin’s public urban forest. It provides a framework for the City of Austin to use as a guide for managing the public urban forest over the next 20 years. Implementation will roll out in 2014 after Council adoption and includes a road map to reach the comprehensive vision. Each City department that interacts with trees on public property will develop their own tailored Departmental Operational Plan to address specific issues such as existing tree care, new plantings, and canopy coverage goals. There will also be an annual State of the Urban Forest Report which will track the overall health of Austin’s public urban forest. Community Input (Draft Version 11-11-13) - A full list of all public comments received, this spreadsheet will be used as a resource for departments when they're developing their Departmental Operational Plans. Check out this amazing satellite time lapse of Austin from 1984 to 2012!